J.C. Flowers & Co. Why We're Different - J.C. Flowers & Co.
JCF delivers the specialist knowledge and regulatory expertise we believe is required to invest successfully in the global financial services industry. J.C. Flowers (JCF) only invests in the financial services sector. 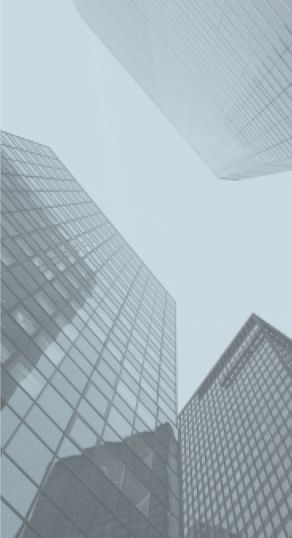 Our specialist expertise along with our extensive regulatory experience and our vast network of industry contacts provide us with a unique competitive advantage. We move nimbly among industry sub-sectors and geographic areas seeking the best opportunities to partner with management teams to build stronger, more valuable enterprises and deliver returns for our investors. Obtaining regulatory approvals, navigating regulatory requirements and maintaining strong relationships with regulators can pose a significant barrier to entry for private equity investors in the financial services industry. We believe that our good working relationships with various national regulators around the world and our understanding of the regulatory frameworks surrounding our target investments provide us with a distinct strategic and competitive advantage. 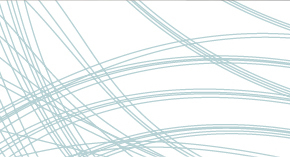 JCF’s global network is core to our deal sourcing, transaction execution and operational value creation capability. 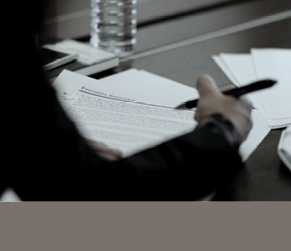 The team’s personal connections developed over decades of experience with CEOs, senior management, subject matter experts, regulators and industry advisors provide the Firm with proprietary information flow and a deep bench of trusted partners. 60% of all transactions to date have been sourced through our extensive network of JCF partners. JCF has been the “first call” in many complex deals given our reputation and ability to solve for complexity in the investments we make. JCF’s typical deal is not a straightforward buyout; rather, we seek to provide capital solutions in complicated situations. 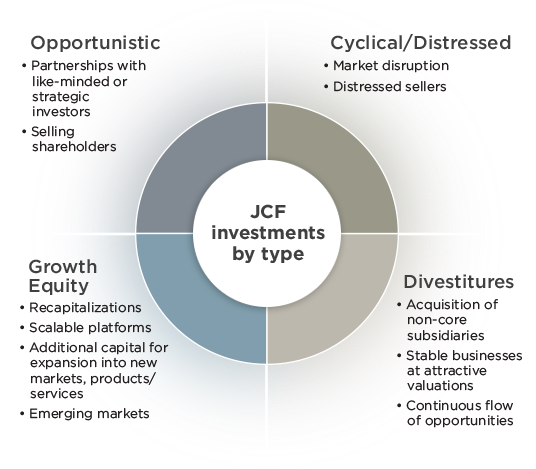 JCF sources investments across a spectrum of different sale situations and stages of company development.